Performers include Nas, 2 Chainz, Miguel, H.E.R, T.I., Jeezy, Big Sean, Kelis, Brandy, August Greene, Big KRIT, George Clinton & Parliament. 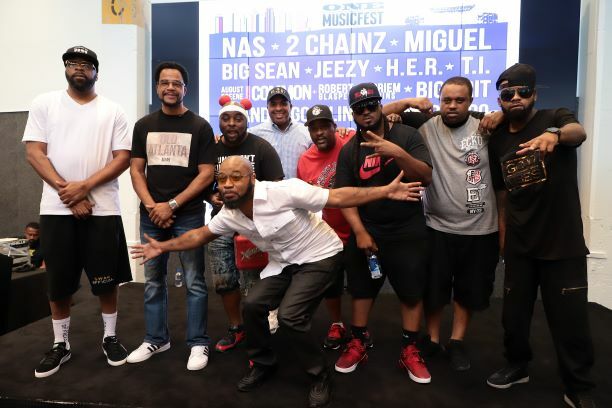 The annual urban progressive music festival ONE Musicfest hosted a press conference, themed “Greater Than One,” to celebrate the influence that Atlanta has had on hip hop and pop culture. Started in 2010, founder Jason Carter’s mission is to bring together some of the legends of Atlanta music to highlight their stories. In attendance were DJ Nabs, East Side Boyz, Trillville and Kilo Ali, all of whom are performing as part of the “ATL Crunk Set” during theONE Musicfest festival which takes place Saturday, September 8 and Sunday, September 9 at Central Park in Atlanta.